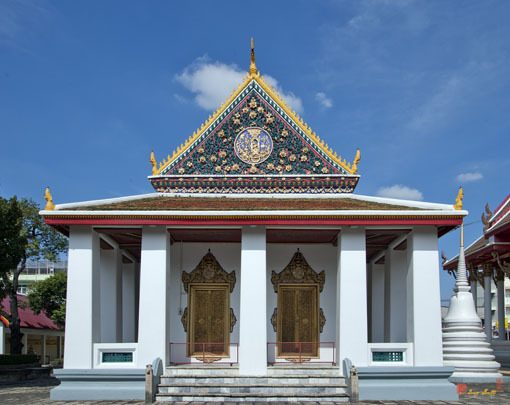 Wat Buppharam Worawihan, วัดบุปผารามวรวัหาร, is a third class royal temple of the Worawihan type. 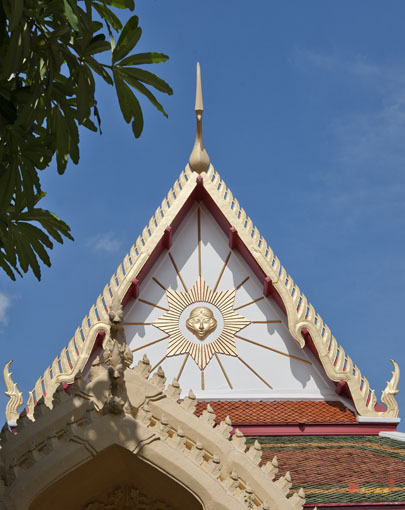 The temple was founded in the Ayutthaya period and originally called Wat Dok Mai. 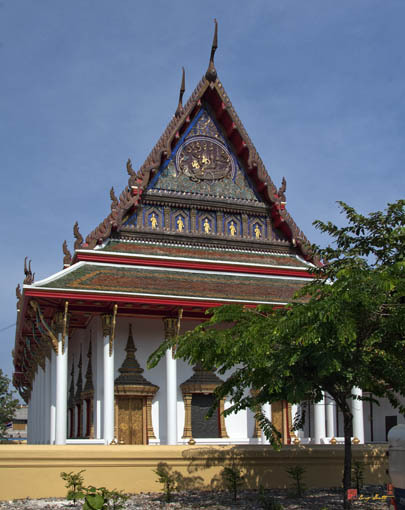 The monastery was later deserted until Than Phuying Chan, wife of Somdet Chao Phraya Borommaha Prayunrawong, renovated the temple. 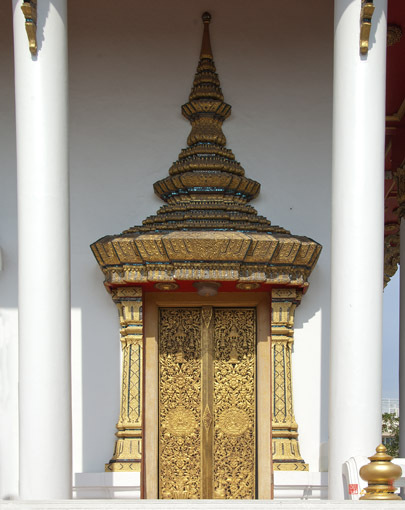 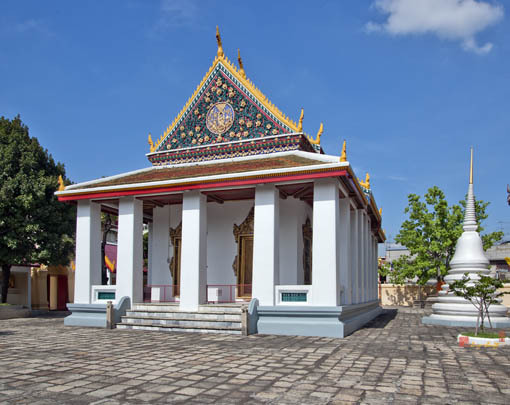 While a monk, King Rama IV appointed a monk from the Thammayuttika Nikai sect to govern the temple, conferring the name Wat Buppharam on the temple. 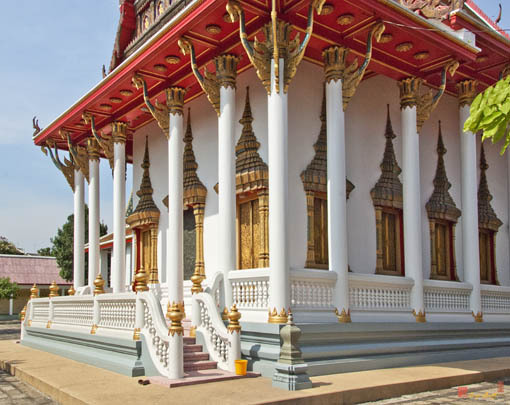 The Phra Wihan (Sermon Hall) is a mixture of Thai and Chinese architectural styles, decorated with a painting of Lord Buddha coming down from the heavens. 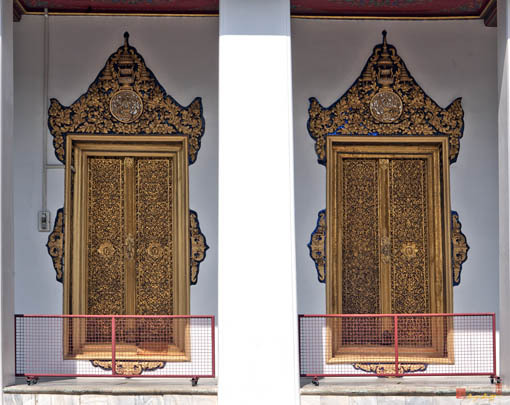 The windows are painted with pictures of Chinese altars. 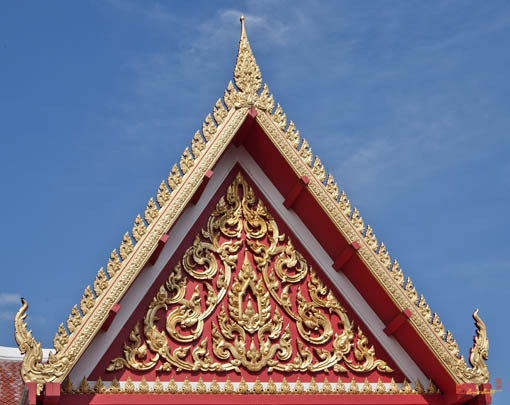 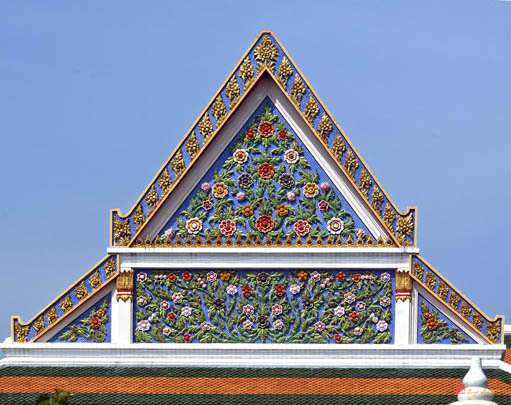 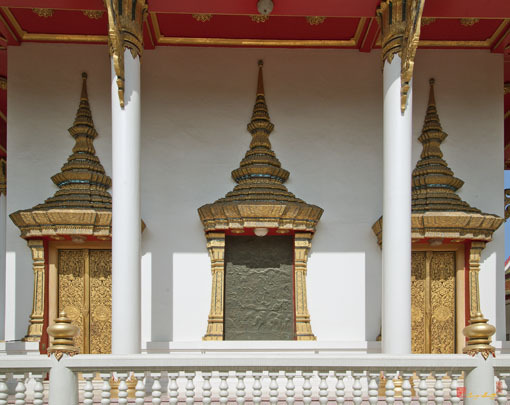 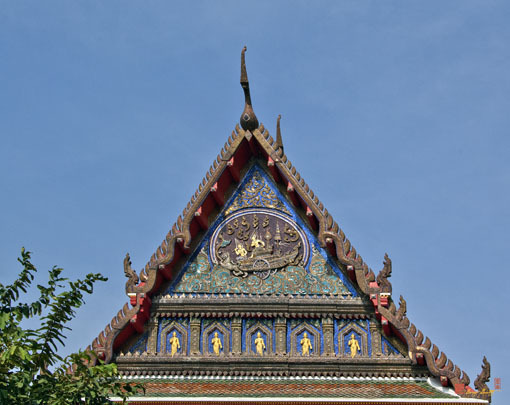 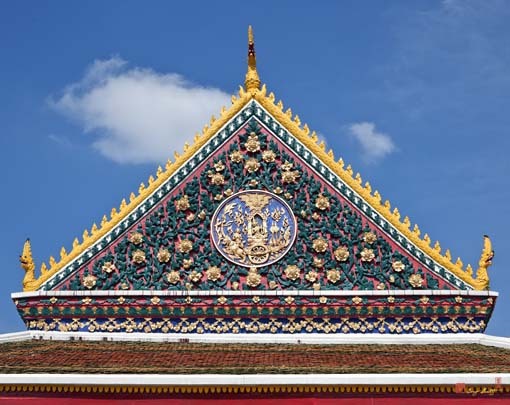 On the gable of the Phra Wihan, there is a circular seal of Suriya Monthon, which was the private seal of Somdet Chao Phraya Sri Suriuawong, a nobleman in the reign of King Rama V.